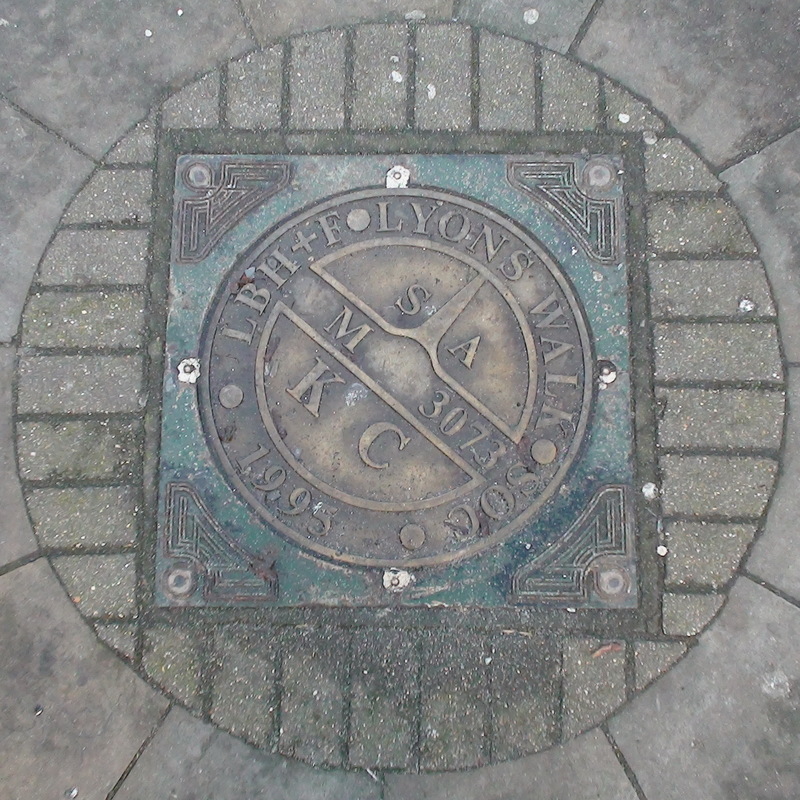 "LBH+F" decodes as London Borough of Hammersmith and Fulham, and the plaque was probably installed in 1995 as part of the remodelling of the area. Those are the only bits of this inscription that we understand. 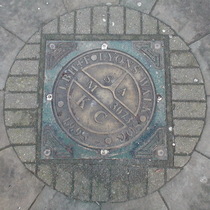 The plaque itself is unusual in its design and materials, reminding us of this one in Bond Street. It must surely be related to the history of the site which is given, with pictures, at J. Lyons & Co. But we could find no clues to the meaning the inscription there. We'll keep searching, meanwhile - it's a puzzle. At this address: Cadby Hall, Hammersmith Road, Lyons had a huge site, with its head office, several bakeries, and an ice cream factory. This was all demolished in 1983. The Lyons Walk plaque is at the centre of a circle of trees and empty tree pits (indicating lost trees). The LEO plaque is horizontal, at the centre of the middle of the 3 new, raised,red brick flower beds. Christopher Pinchbeck, clock maker, 1670 - 1732.